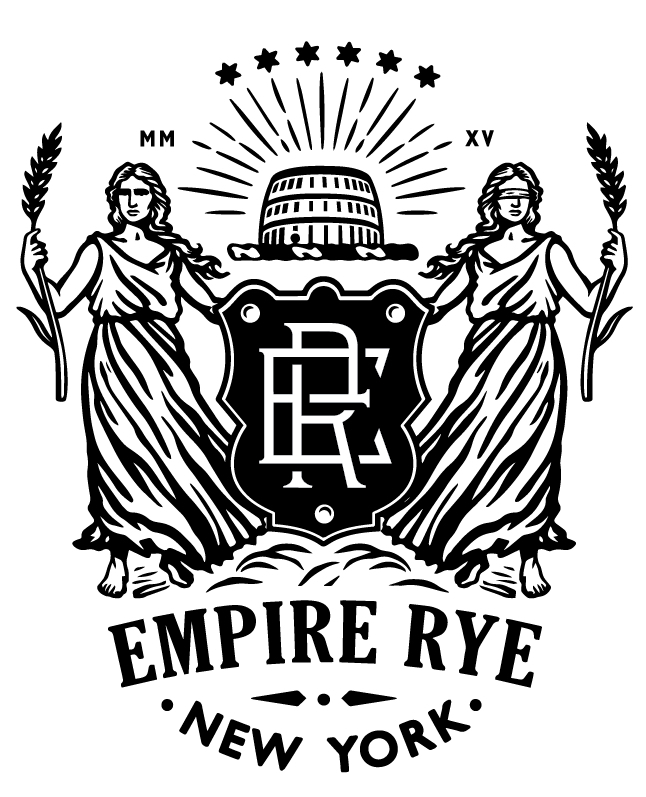 And so, Empire Rye was born–an homage to New York State’s pre-Prohibition rye whiskey-making heritage and a testament to the ingenuity and industriousness of its contemporary distillers. Each distiller’s bottling of Empire Rye is crafted in accordance with the same exacting specifications and yet each is given ample space to express their creativity. In time, the hope is that more New York distillers will choose to produce a rye whiskey in accordance with these standards and make the category of Empire Rye known throughout the world. 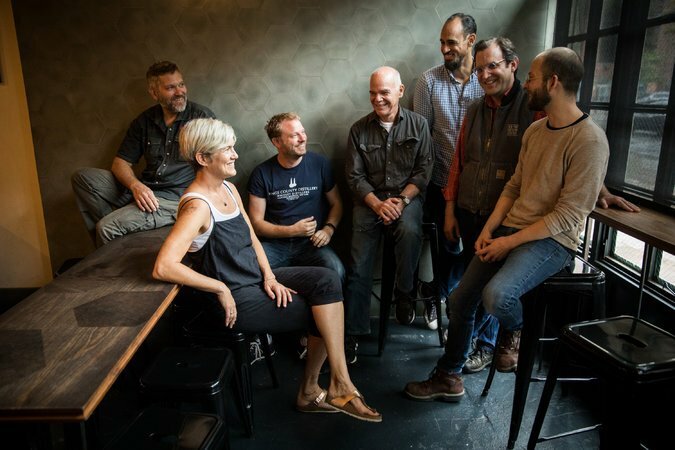 Representatives of the original New York State distilleries producing Empire Rye, gathered at Cardiff Giant, a Brooklyn bar: from left, Daric Schlesselman and Sarah Ludington of Van Brunt Stillhouse; Colin Spoelman, Kings County Distillery; Ralph Erenzo, Tuthilltown Spirits; Christopher Williams, Coppersea Distilling; and Allen Katz and Bill Potter, New York Distilling Company. Not pictured: Nicole Austin of Kings County Distillery, Brian McKenzie of Finger Lakes Distilling and Jason Barrett of Black Button Distilling.